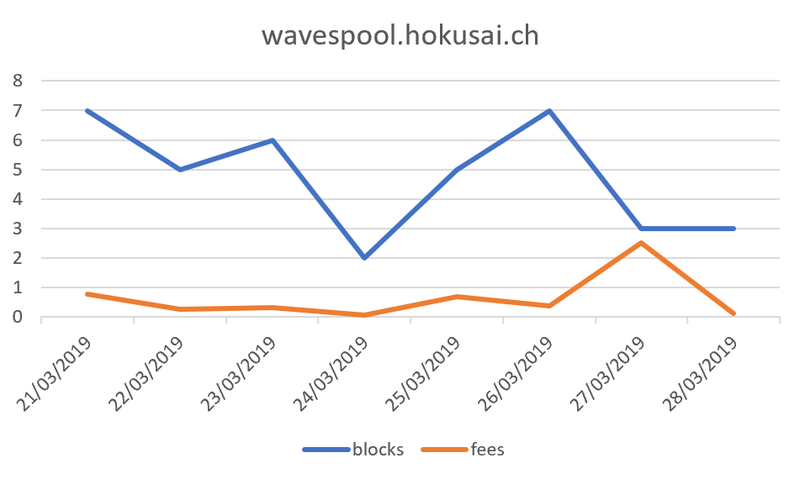 We just processed the pool’s fees from blocks 1386001 to 1396200, a total of 4.67741544 Waves and 433.86 MRT were paid to our leasers. 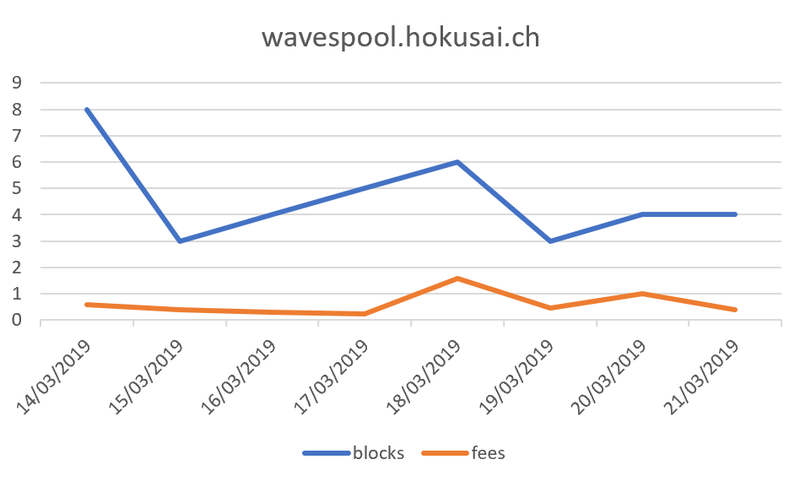 We just processed the pool’s fees from blocks 1396201 to 1406500, a total of 1.98501712 Waves and 202.83 MRT were paid to our leasers. 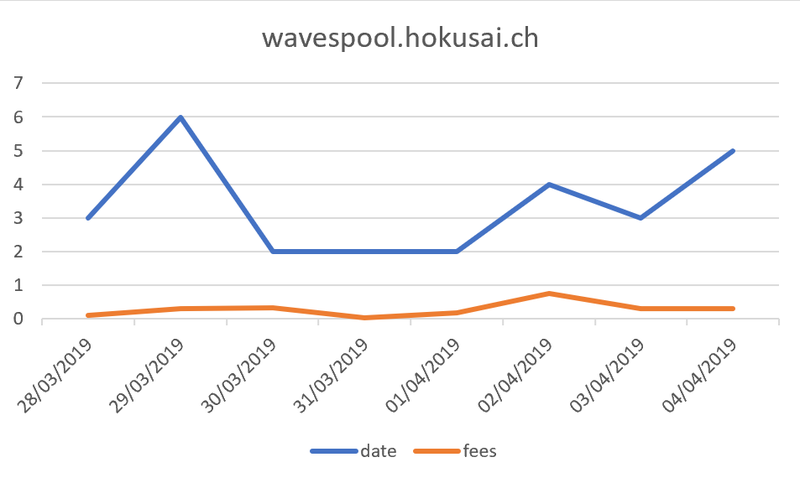 We just processed the pool’s fees from blocks 1406501 to 1416700, a total of 5.0623241 Waves and 283.57 MRT were paid to our leasers. 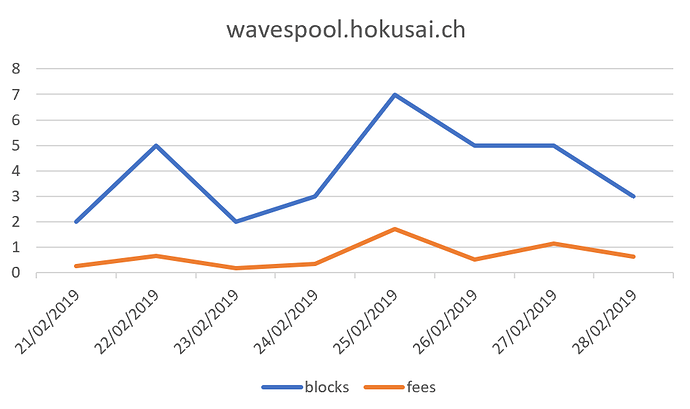 We just processed the pool’s fees from blocks 1416701 to 1427000, a total of 3.23500493 Waves and 229.49 MRT were paid to our leasers. 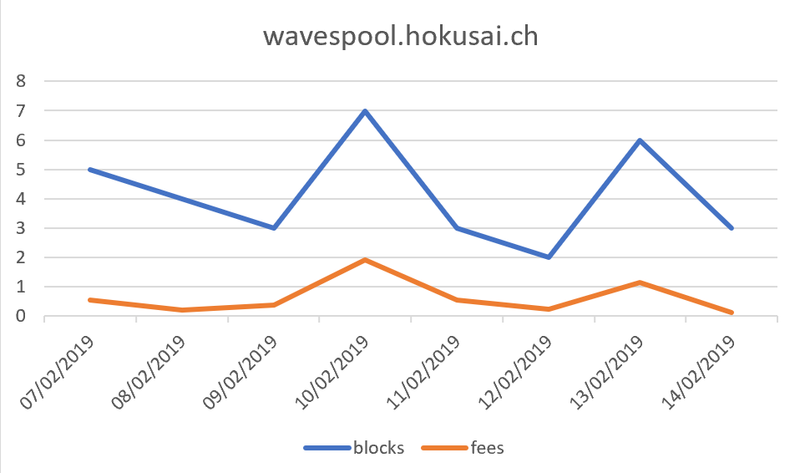 After waiting a few days and making sure the new version is running smoothly we just updated our main node to Waves node 0.16.2. Lots of exciting stuff coming! Hi hikusai I started leasing on Feb. 28, 2019. Two leasing payments have been issued since I started my lease but, no payments to my waves address. Can you look into it? I’m afraid your balance is not enough even for this fee. Looks like this node have a hidden minimal lease amount around ~50 Waves. Thank you @deemru for the answer. This is why people distrust Waves Leasing so much. Always some information left out so, people lose money and feel like they have been scammed. I should have leased to a more upfront Node for the last 2 weeks. 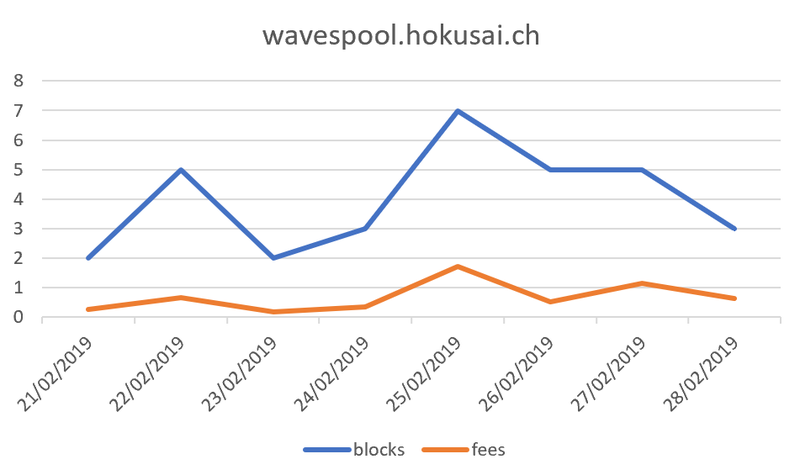 We just processed the pool’s fees from blocks 1427001 to 1437300, a total of 4.09902083 Waves and 369.5 MRT were paid to our leasers. Hey! What about Vostok airdrop on 6th of April? If I lease you my waves will I receive new tokens? 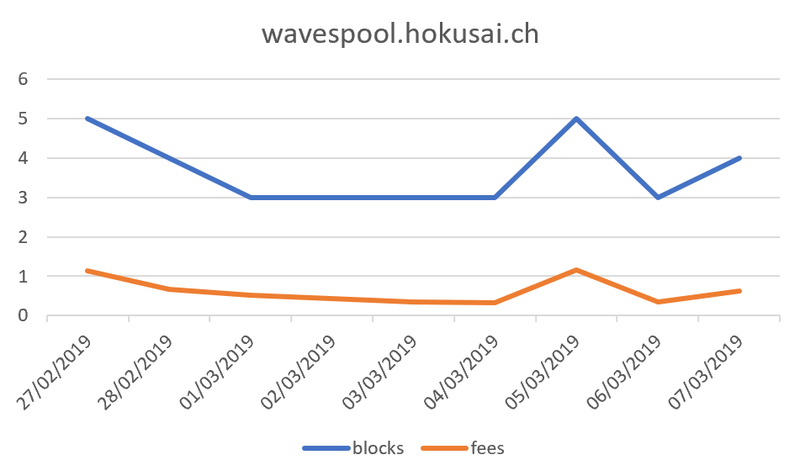 We just processed the pool’s fees from blocks 1437301 to 1447300, a total of 4.1861332 Waves and 283.38 MRT were paid to our leasers. 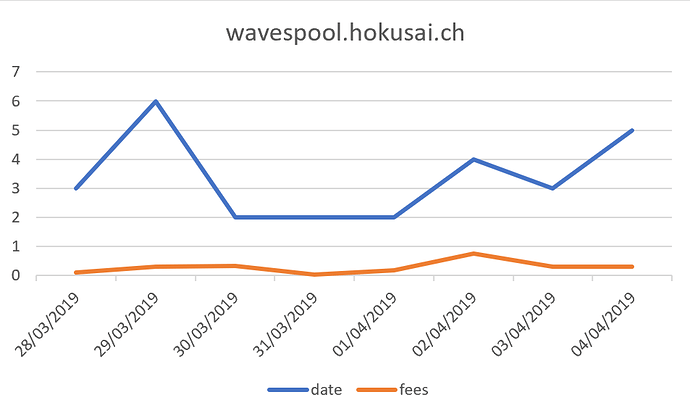 We just processed the pool’s fees from blocks 1447301 to 1457630, a total of 4.71160782 and 296.48 MRT were paid to our leasers. 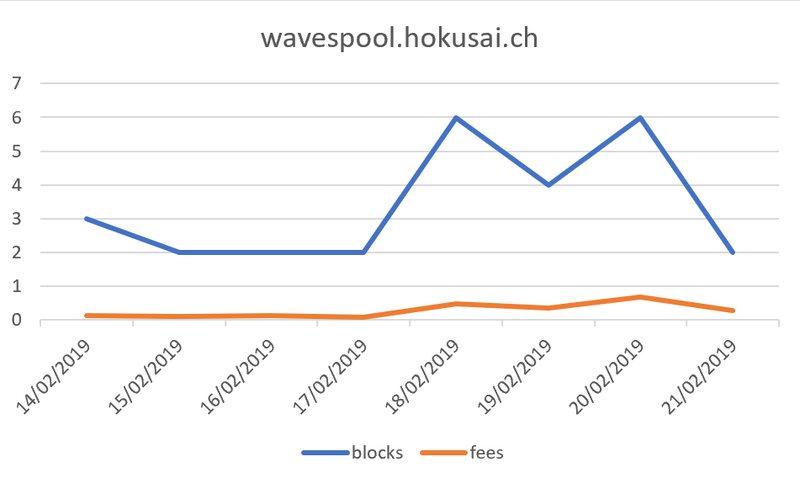 We just processed the pool’s fees from blocks 1457631 to 1467900, a total of 2.10195862 Waves and 181.3 MRT were paid to our leasers. 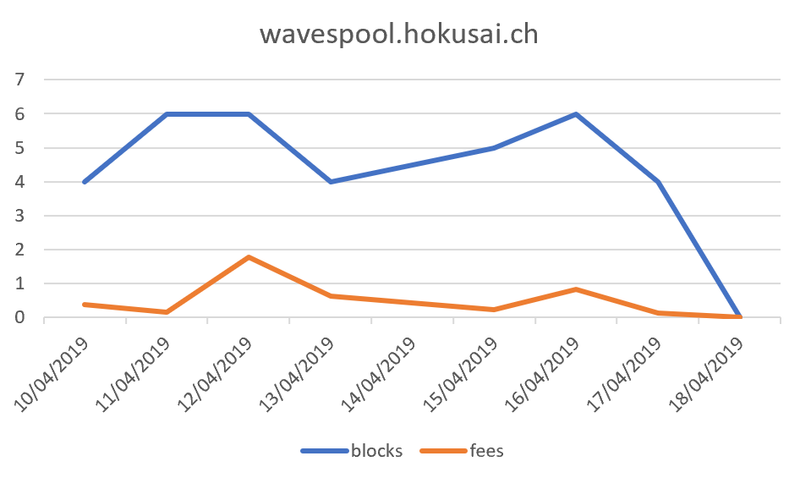 We have just updated to Waves node Version 0.16.3. When microblock (or the whole block) gets filled up, miner will no longer attempt to validate other transactions to evict expired and invalid ones. UTX cleanup task is initiated whenever last block changes (instead of being scheduled to run each 5 minutes). Invalid transactions are removed from UTX pool immediately after validation fails. The node will log a reason why the transaction had been removed from UTX pool. API operations now share the limited thread pool, which allows the node to handle the exceesive load while still appending new blocks. 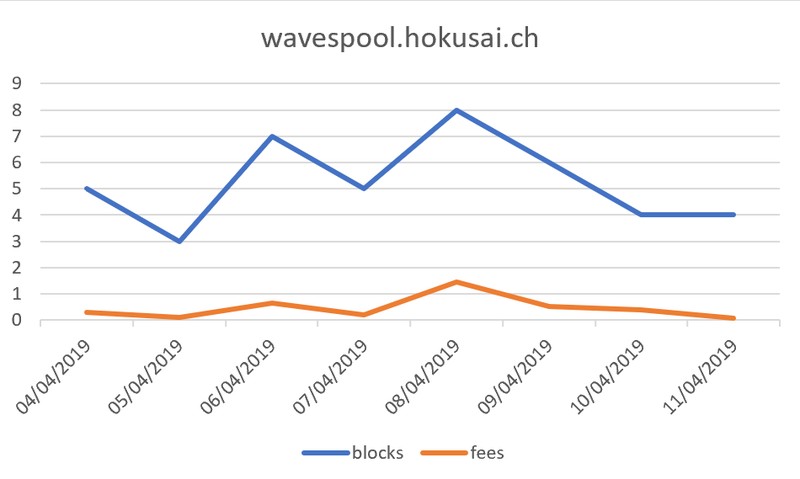 Key block application has been sped up. 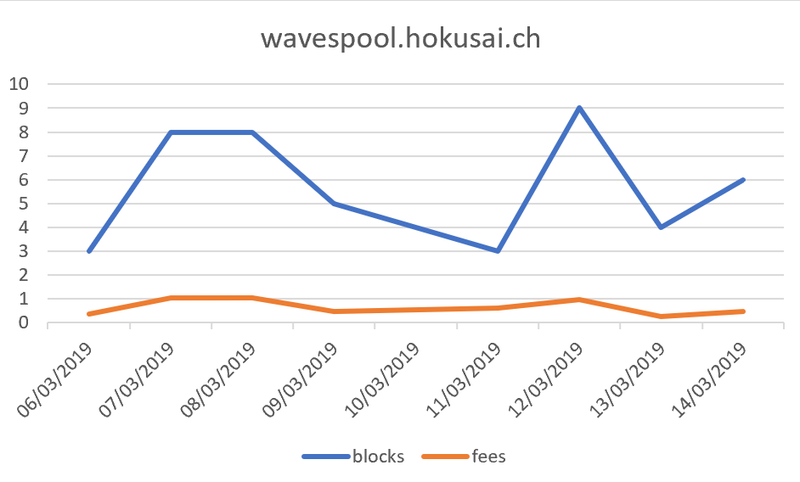 We just processed the pool’s fees from blocks 1467901 to 1477900, a total of 3.30837916 Waves and 349.75 MRT were paid to our leasers. 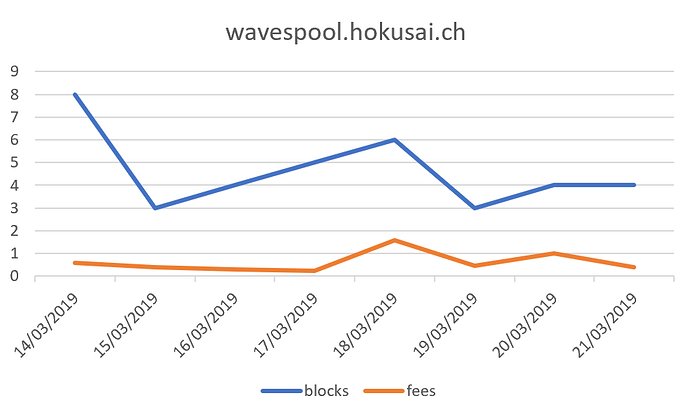 We just processed the pool’s fees from blocks 1477901 to 1488200, a total of 3.53903471 Waves and 254.27 MRT were paid to our leasers.